The Hurricane Sandy Rebuilding Strategy is now available. The strategy, developed by President Obama's Hurricane Sandy Rebuilding Task Force, serves as a model for communities across the nation facing greater risks from extreme weather while continuing to help the Sandy-affected region rebuild. 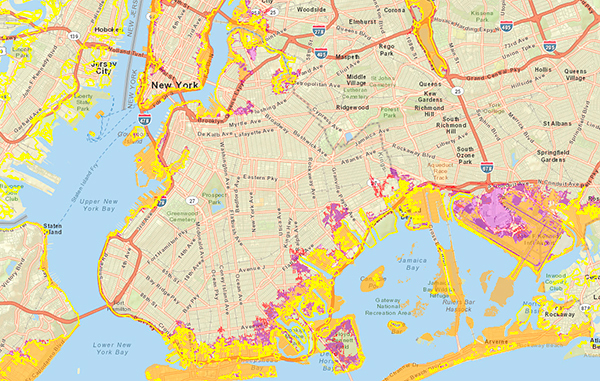 Sea level rise planning maps display what the future 100-year floodplain boundaries could look like with sea level rise. Even if current storm patterns remain the same in the future, sea level rise will increase the impact of coastal flooding during storms. Move your mouse back and forth over each image to view the "before and after" comparison. View the sea level rise planning tool. The devastation caused by Hurricane Sandy is a stark reminder of the vulnerability of coastal communities to damage from storms and flooding. As efforts continue to rebuild hard-hit areas along the East Coast path of the storm, a new tool is helping people make planning decisions that take into account future sea level rise. Using the best-available science and data, federal agencies developed a sea level rise planning tool to help state and local officials, community planners, and infrastructure managers understand possible future flood risks from sea level rise for use in planning decisions. The sea level rise planning tool is designed to help state and local officials, community planners, and infrastructure managers understand possible future flood risks from sea level rise for use in planning decisions. Scientists from multiple federal agencies and academic institutions synthesized the best available science to create a set of scenarios of global mean sea level rise through 2100. The team considered both ocean warming and melting of mountain glaciers and ice sheets. 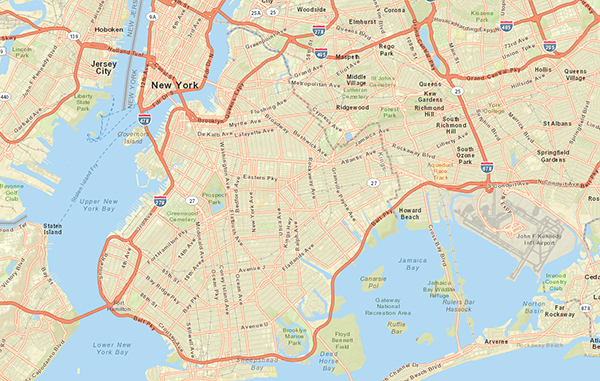 The online tool provides a series of maps with best-available elevation information for post-Sandy planning and rebuilding, in addition to supporting broader federal agency planning. While the tool does not tell communities or individuals how to rebuild, it can help inform decisions on how to balance the cost of rebuilding stronger and safer based on the amount of risk a community can tolerate over the long-term. These maps are not intended to support regulatory flood hazard zone designation, insurance ratings, or other legal or regulatory constraints. Rather, these maps and services support scenario planning that may help decision makers prepare for and adapt to uncertainties surrounding the future risks posed by sea level rise. The sea level rise planning tool is the result of a partnership between NOAA, the Federal Emergency Management Agency, the U.S. Army Corps of Engineers, and the U.S. Global Change Research Program. 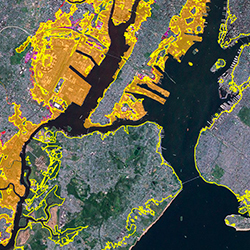 This set of map services integrates the best available FEMA flood hazard data for each location with information on future sea level rise from two different peer-reviewed sources. Learn more about National Ocean Service post-storm operations for Hurricane Sandy.